Don MacDougall commenced business with his father Sydney McDougall in 1945 after returning from the 2nd World War, at 36 Brisbane Street Hobart.Starting originally as a Saw Doctor, he then started repairs to all types of saws, with the introduction of chainsaws he started sharpening chains then moved onto repairs as he was also a mechanic. Chainsaw sales started as a sub agent of Donald Gorringe with Denarmes then a distributor with Pioneer. The distribution of Stihl Chainsaws to Southern Tasmania was offered by Karl Goiser who, in the early days, was the sole Stihl distributor for Tasmania. At that same time Herbet Osborne was the Stihl distributor for Australia, around 1960. Stihl Chainsaws soon became very popular in the market place and Don MacDougall Pty. Ltd. was appointed the Southern Distributors in Tasmania by Herbet Osborne. After Don’s death in 1973 the company was run by Malcom who purchased the building next door (number 34) and moved the premises. During these years the company was the distributor for Mariner Outboard Motors & Boats, and employed a staff of 7. The business was then sold to Mike Lewis in 1979. Mike eventually changed the name to Don Mac Sales. Around 1992 the business was sold to Tim Cowley who operated in Brisbane Street until he eventually moved it to 200 Argyle Street. 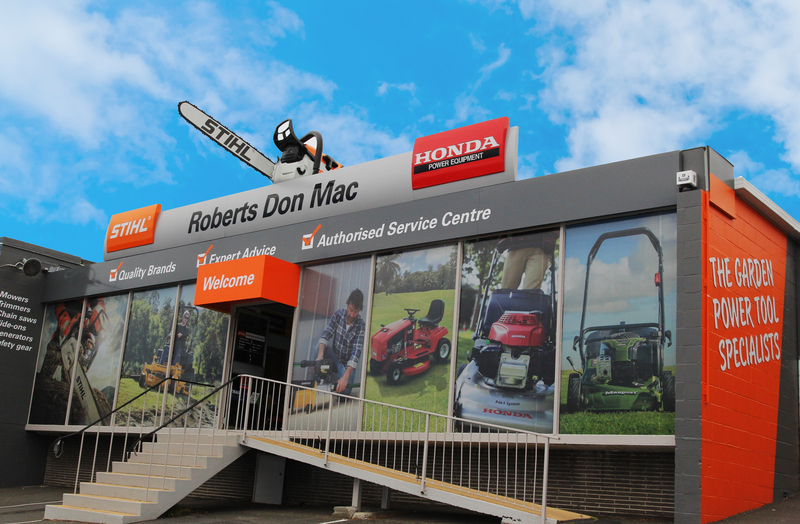 In October 1996 a joint venture between Roberts Ltd and Don Mac Sales was entered, forming Roberts Don Mac. In July 2001 Tim Cowley sold his share of the business to Scott Grainger. 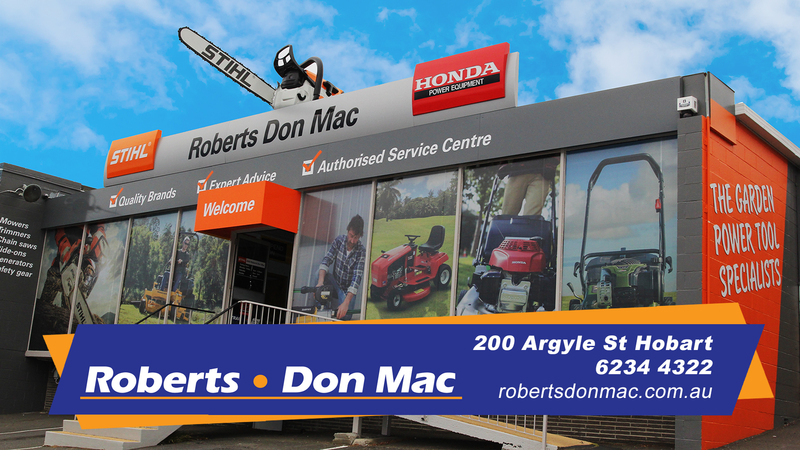 You can find Roberts Don Mac at 200 Argyle Street, Hobart. Or Call us on 6234 4322.